CHICAGO Tall Buildings : - Everything OVER 12 stories - Learn everything you ever wanted to know about all of the windy city's recent skyscraper developments. Chicago Spire - The most significant residential development in the world - soon to be the world's tallest building. Chicago Landmarks - Find local sights on either a map or a list courtesy of this speciality sight-seeing guide. Read about tours and learn of local architecture. Choose Chicago Chicago Convention and Tourism Bureau provides listings of accommodations, dining, nightlife, shopping and sightseeing. Area Guide - Chicago - Find accommodations, entertainment, cultural events and activities, dining, retail services, local news and tourism information. Chicago Fun List - Chicago local provides extensive listings and links to parks, museums, concerts, sports, dining, nightlife, annual events and entertainment. Exploring Chicago - Tourism Bureau offers an interactive map and an electronic tour guide. Find arts, entertainment, attractions, accommodations, sports and events. Chicago Tribune - "worlds greatest newspaper"
Centerstage Chicago - Comprehensive guide to area nightlife, dining, entertainment and lodging. Includes restaurant and theater recommendations. 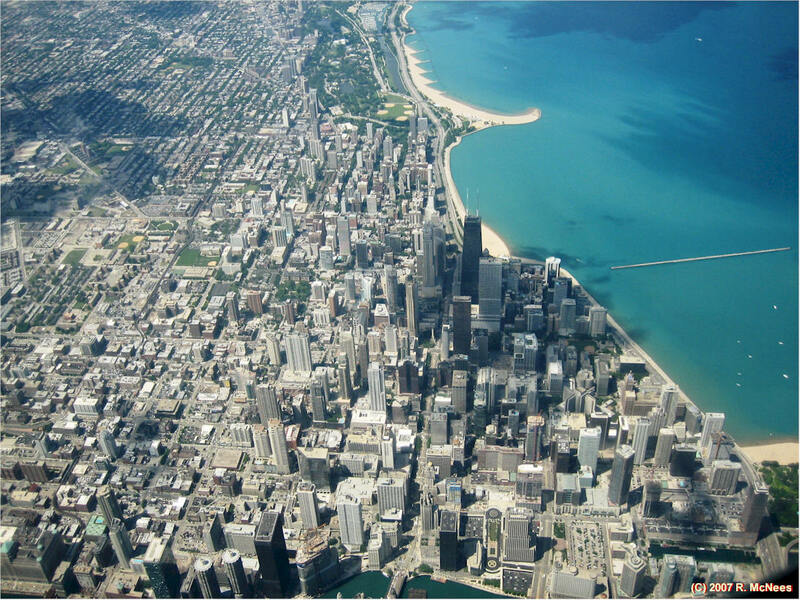 Chicago 'burbs Entertainment and Services - Find a searchable resource for areas adjacent to the Windy City. Includes restaurant, entertainment and shopping guides. Chicago City Pages - Vast compendium of Chicago links includes business, sports, entertainment and dining pages. Also find links to universities. Chicago Fact Book - City guide offers info on a spectrum of subjects, including business and conventions, education and geography. With a foreword by the mayor. Chicago and its Suburbs - Lists entertainment, restaurants, weather, cultural activities, special events and transportation in Chicago and its surrounding areas.